Somewhere along the way (oh, maybe the 1600s? ), witches got a bad rap. Instead of being associated with nature and enchanting mystical mythology, people started thinking they were evil. Whatever. All it took was the magic of Harry Potter to put witches, warlocks and wizards back into the public’s good graces — and thank goodness, because a little magic might just make your baby name search easier. 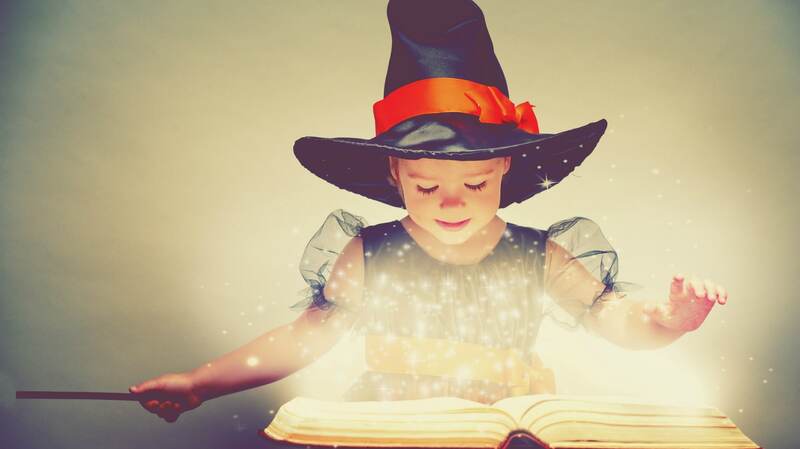 From Arthurian legend and Greek mythology to Disney movies and Tolkien, we’ve sourced a ton of awesome witchy names. Whether you’re into magic and sorcery or just like beautiful names from pop culture, we bet there’s at least one name here that will leave you spellbound. These witchy names are gorgeous, and a lot of them have historical legend behind them. They all work as first names, but they also make for beautiful, quirky middle names too. These unique boy names carry a lot of history behind them. Not only do they sound powerful, but the names also represent strong characters and mythological figures. Originally published June 2013. Updated October 2017.